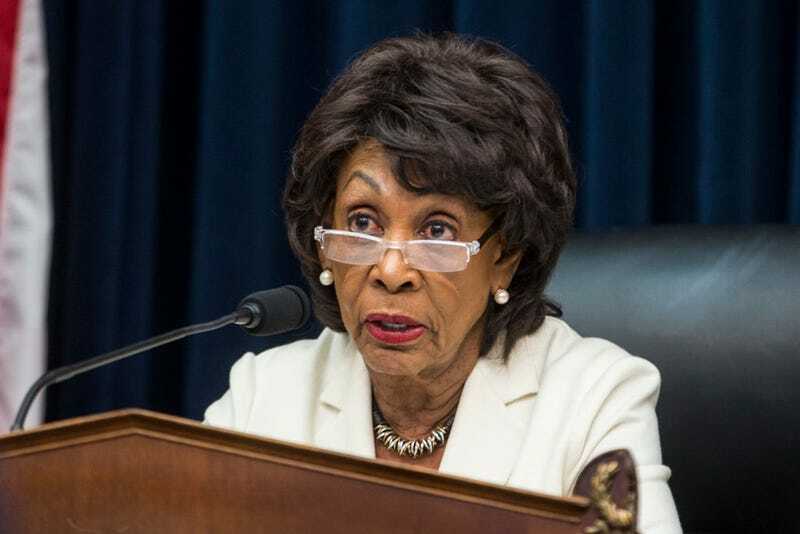 House Financial Services Committee Chairwoman Maxine Waters (D-Calif.) speaks during a House Financial Services Committee Hearing on Capitol Hill on April 9, 2019, in Washington, DC. U.S. Secretary of Treasury Steve Mnuchin is testifying on the state of the international financial system. Anyhoo, fast forward to Tuesday, and now, Waters is the chairwoman of the House Financial Service Committee. The H.N.I.C. During a committee hearing, one of the many questions Mnuchin faced was when would he respond to Democrats’ request to see President Trump’s tax returns, according to Vox. As the hearing stretched into three hours, Waters asked if Mnuchin could forgo a press gaggle and give the committee 15 more minutes. That’s when Mnuchin went into whiny white man mode and explained that he had a foreign leader waiting in his office, but ultimately he would stay if that’s what she wanted. But he also threatened that he wouldn’t come back before the committee. “Please dismiss everybody. I believe you’re supposed to take the gavel and bang it,” he said. “Please do not instruct me as to how I am to conduct this committee,” Waters clapped back. One day, Mnuchin gon’ learn not to mess with Auntie Maxine. But alas, Tuesday was not that day.